The book is sectioned into four topics: apples, tulips, marijuana, and potatoes. During the giveaway, we served snacks themed according to the book. Potato salad, apple juice, and caramel apple pie cookies. All that good stuff. Pollan’s book could be considered an inspirational tool for the average gardener. (Last year, when I was angry at my corn for shading my squash, this would have been a good book to read. An anecdote for the frustrated or tired.) This book makes me think about our distinctions between wilderness vs. nature and the Apollonian vs. the Dionysian. The way The Botany of Desire speaks in conversation with literature alone is in itself enough to keep me reading and returning to Pollan’s work. 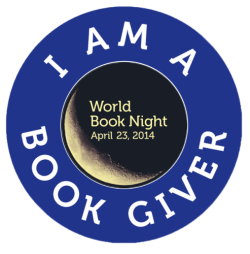 Check out World Book Night if you haven’t before! A number of my friends were givers this year, and I have loved reading the blog entries and social networking updates today about the strange and fulfilling encounters people have had while emptying out their giver’s box. 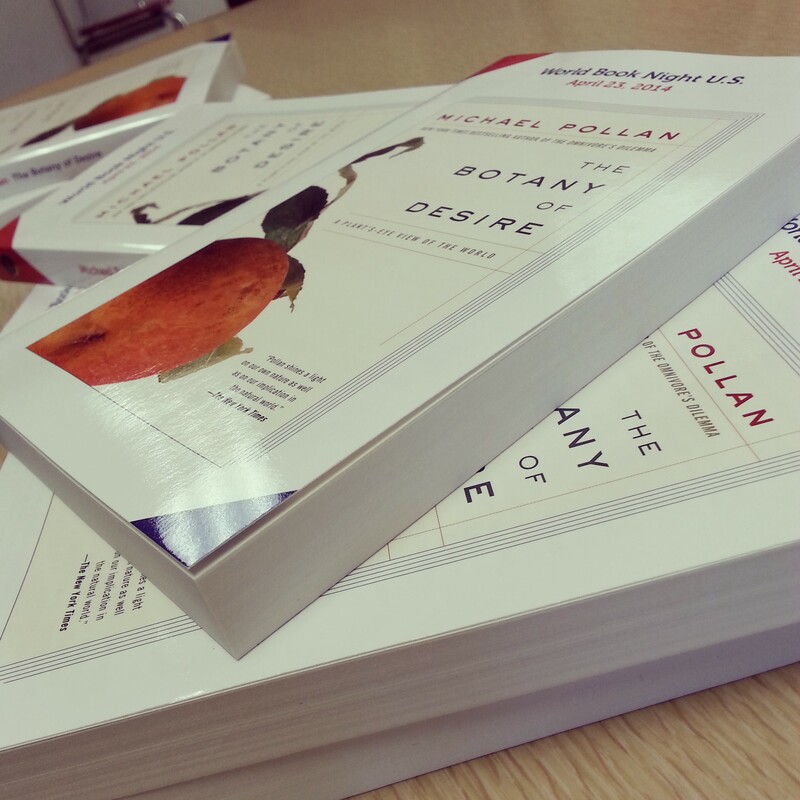 – Michael Pollan’s subtitle for The Botany of Desire is “A Plant’s-Eye View of the World.” Write a short piece of fiction or poetry from the perspective of a plant. You may use one of the plants mentioned in Pollan’s novel (apples, tulips, marijuana, or potatoes) or choose your own. – Pollan spends a large portion of the first chapter discussing the tale of Johnny Appleseed. Using the Johnny Appleseed legend as a model, write a similar story involving either tulips, marijuana, or potatoes. Write an essay comparing two forbidden topics, practices, objects, etc. while performing a social critique. (Or take two ordinarily accepted practices and make them forbidden.) The social critique should unfold naturally in your writing. Use Pollan’s questions to help guide the essay. To those who asked for prompts, I hope these are somewhat profitable. I want to extend my gratitude to all who helped make World Book Night a success in Clarksville. Happy reading and writing, folks!